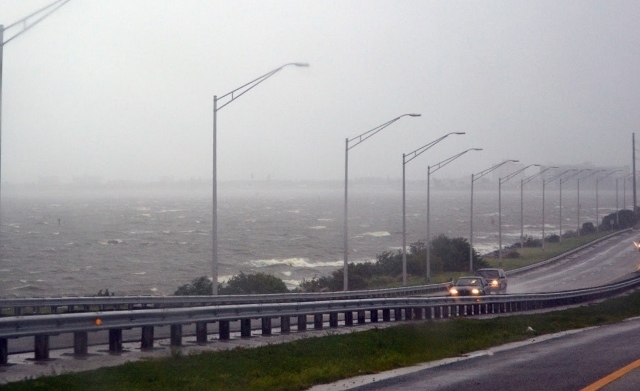 BREVARD COUNTY, Florida - Brevard County Emergency Management officials announced that mandatory evacuations will begin at 3 p.m. Wednesday for residents living on the barrier islands (Cocoa Beach, Merritt Island, Satellite Beach, Indialantic, Indian Harbour Beach, Melbourne Beach, and Cape Canaveral), low-lying flood-prone areas, and in mobile or manufactured homes. Shelters will also open beginning at 4 p.m. at these locations. Brevard County schools, government offices and courthouse will close Thursday and Friday. Eastern Florida State College also announced on Tuesday that campuses are closed Thursday through the weekend. Cape Canaveral Hospital has begun moving patients Tuesday to Holmes Regional and Viera Hospital. Gates to Cape Canaveral Hospital will be closed at 9 a.m. Wednesday to new patients. Surgeries for later in the week will be rescheduled. Health Centers are closed Wednesday through the week. To find the location of a patient, call 321-434-7000. All cruise ships and tankers have found safe harbor and will not be conducting operations out of Port Canaveral. Victory Casino cruiseline will seek safe harbor elsewhere. Marinas along the port have also been closed.